Ever since Disney took over Star Wars and announced that they would be turning out a new movie every year, people have been wondering how that could work. It’s not so much the time it would take to get all this done, but maintaining the public’s interest, which could be a concern. Sure, Marvel turns out two movies each year (this year there’s Captain America Civil War and Doctor Strange, last year was The Avengergs Age of Ultron and Ant Man,) but the difference is that each of the Marvel films features different characters and their own storyline. If Marvel turned out a new Spider Man movie every year, for example, people would certainly lose interest. 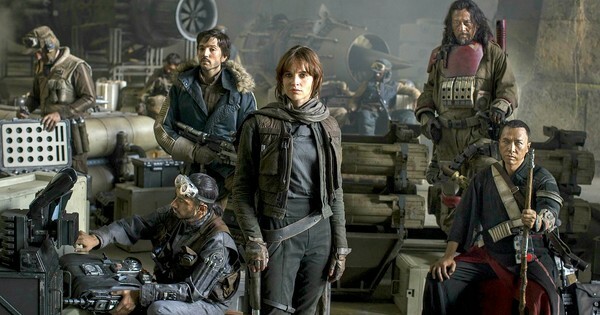 The method of spacing out the different stories will create the time needed for audience members to catch their breath, so that one year, we will get a current day continuation, and the next year we will get a prequel going all the way back to the original Star Wars films. And when you think about it, two years is really the right amount of time. It fits right in line with what Marvel has been doing, giving us Captain America: The Winter Soldier in 2014 and then Captain America: Civil War in 2016. Two years is just right. It should also be noted that both Star Wars and Marvel are under the Disney umbrella, being run by some of the same people, and so taking on a similar strategy should come as no surprise. With the time problem potentially solved so that fans don’t get Star Wars movie fatigue, the question then turns more toward content. What exactly will these Star Wars prequels be? Rogue One is about the stealing of the Death Star plans, which is the single event that leads directly into the very first Star Wars movie ever put on film, A New Hope. 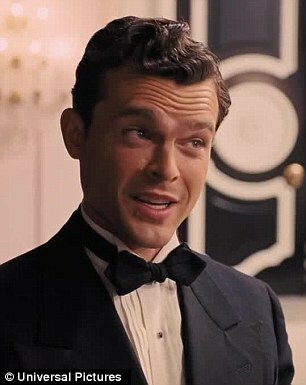 After that, the next prequel will be this Aldren Ehrenreich, Han Solo film. Disney already has all of their directors lined up, and for the Han Solo movie, they absolutely struck gold. Phil Lord and Chris Miller are helming the project, and these are the two guys who seemingly can do no wrong. Lord and Miller successfully created a reboot of a former property by bringing an old TV show to the big screen with 21 Jump Street. The movie did so well that it spawned a sequel, 22 Jump Street (also by Lord and Miller,) which many consider to be even better than the first movie. Aside from all that, these guys also made The Lego Movie. All films that most people thought wouldn’t work. All films that were far from sure things. But Lord and Miller pulled them off, one after another, and turned out some really creative, humorous, and enjoyable films. Now they’re stepping away from the Jump Street movies to take on Han Solo, and it might just be their biggest challenge yet. What exactly the Han Solo prequel will be about, we can only guess. How Han got the Milenium Falcon? When Han met Chewey? Watching Han take the Faclon on the famous Kessel Run? The only thing we know for sure is that Disney has got a talented team on board, and that so far the new Star Wars films are off to a great start (with The Force Awakens kick starting this new relaunch.) Now, with Ehrenreich, there’s one more solid bit of information to add to the list. And if there’s any character from the series who warrants a prequel, it’s Han. Call him the Wolverine of the Star Wars films, (although the two Wolverine films we’ve gotten so far have both been pretty lousy.) Hopefully with Lord and Miller behind the Han Solo movie, it will be another humor-filled and action-packed success.